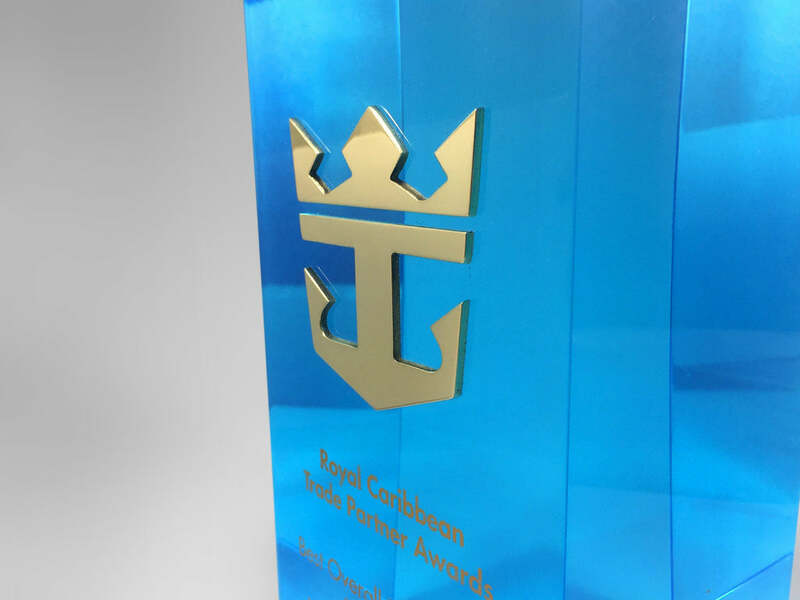 We hit the high seas in one of our latest custom made awards with the Caribbean Blue Wave Block commissioned by one of the world's premier cruise liners. 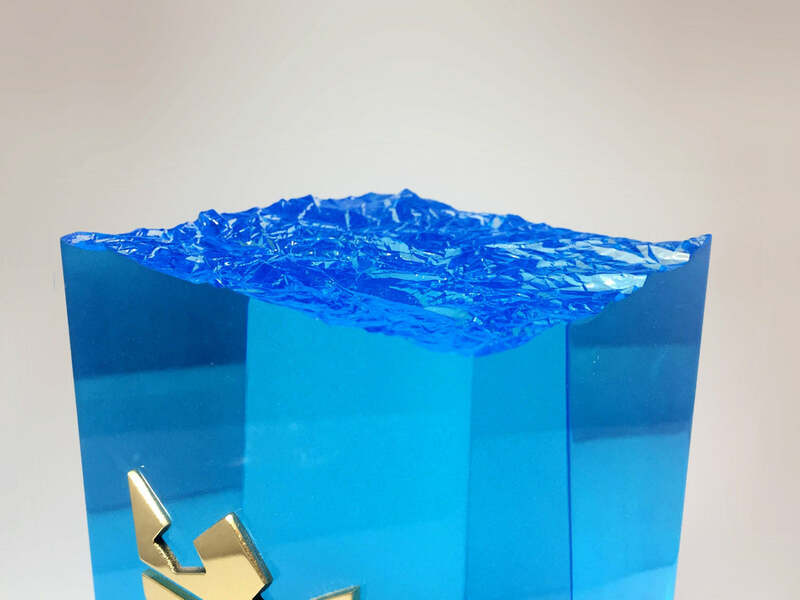 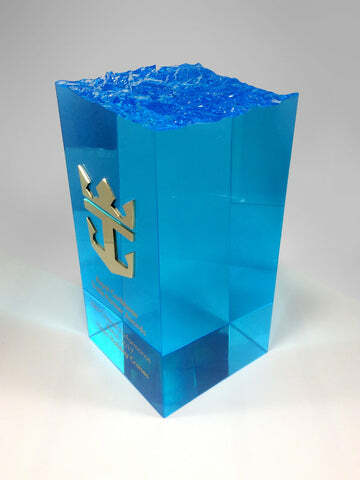 The body of the award is made from blue acrylic that was tinted to create warm, deep blue tones as the award creating an unique effect. A hand-cut, gold anchor motif of the famous logo was added to the front of the award adding an extra depth of colour contrasting with the light blue body. 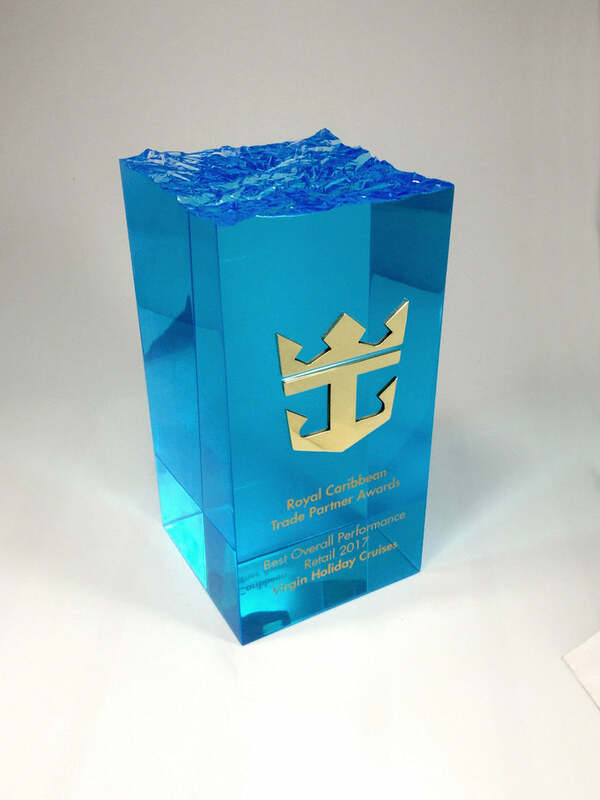 Extra detail was applied through a top secret, industry leading technique to create a patterned wave effect on the crown of the award.